Speaking today on the Today Show, Sen. Lindsey Graham (R – SC) talked up the idea of attacking North Korea, saying that he’d been assured by President Trump that there is a military solution to the situation, and that “if thousands die,” it would be in North Korea. Graham shrugged off the idea of thousands dying, saying it “may be provocative, but not really,” since those thousands weren’t Americans and that’s not where the president’s “allegiance” lies in the first place. Graham had been pressed on a number of military experts saying there is “no good military option,” dismissing them all as wrong, and saying that anything which ended with the destruction of North Korea would be a good option. While Sen. Graham is given to furious tirades and predictions of massive global wars, in this case he claimed to be presenting President Trump’s position on the matter, and said Trump had told him all of this personally. 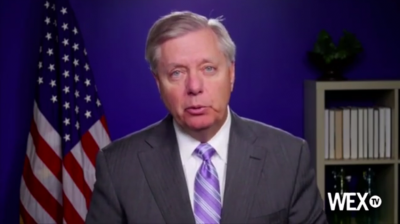 Graham also claimed to believe that China could solve the situation at any time if they really wanted to, which certainly adds to the suggestion that he is parroting Trump’s position.